An illustrated study of the habits of dinosaurs, by Robert Bakker who provoked a heated controversy more than 12 years ago, insisting that dinosaurs were warm-blooded, intelligent and agile creatures bearing little resemblance to existing reptiles. This study of the habits of dinosaurs covers how they ate, how they reproduced and how they moved. Robert Bakker's illustrations are based on first-hand studies of dinosaur exhibits in museums throughout the world. This book supports the view that dinosaurs were warm-blooded, intelligent and agile creatures bearing little resemblance to existing reptiles. 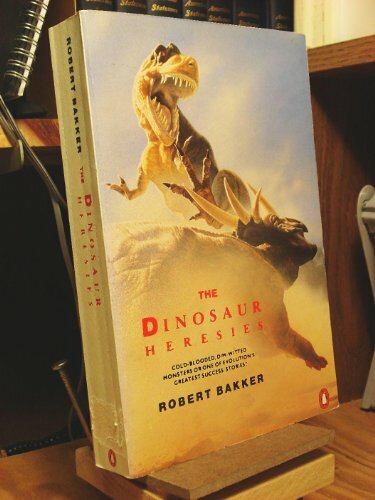 More than 12 years ago, Robert Bakker provoked a heated controversy on this subject, opposing the widely held belief that dinosaurs were cold-blooded, lumbering and of low intelligence.